Writing pad: Quality MDF covered by laminates, with smooth edge banding. Armrest: Imported hardwood armrest, varnished. or PU armrest is optional. Our vast industry experience and competent workforce enables us to offer a broad array of Conference Room Chairs. These conference room chairs are made from exquisite materials, which exhibits uniqueness and style. They are perfectly designed to add comfort to the long hours for busy executives. 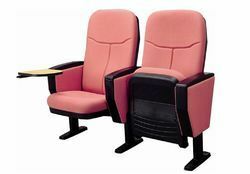 Further these chairs can be availed in cost effective prices. 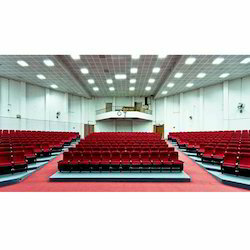 We are the reckoned organization that is indulged in offering Conference Chairs in the industry. These Conference Chairs that we offer are highly appreciated in the industry for its durability and great strength. Further, these Conference Chairs are available in various stylish designs.